I’ll throw a quick question at you and let’s see if it baffles you. Can you imagine a day without your smartphone? I am pretty sure that the answer would be NO as I can’t withstand this thought for long. In a world where devices have taken over, it has become a tad tough to even imagine a life without them. And, this is not just limited to smartphones but is also applicable to other devices without which we’ll find tough to battle out our daily needs and requirements. There would be no doubt in anyone’s mind that the world of innovation has taken over. Gadgets, smartphones, laptops and many more have become a part of our daily life. And the reason behind it being the ease of operations it grants us as users. From paying a mobile bill to buying a refrigerator, from purchasing a birthday gift for your loved ones to buying a priced possession for your Dad, everything can be done via devices called smartphones. All due to the apps that have plagued our devices in the recent past. While these apps offer incredible features and solve crucial purposes with ease it becomes important for app developers to pay extra bit of attention to its making. 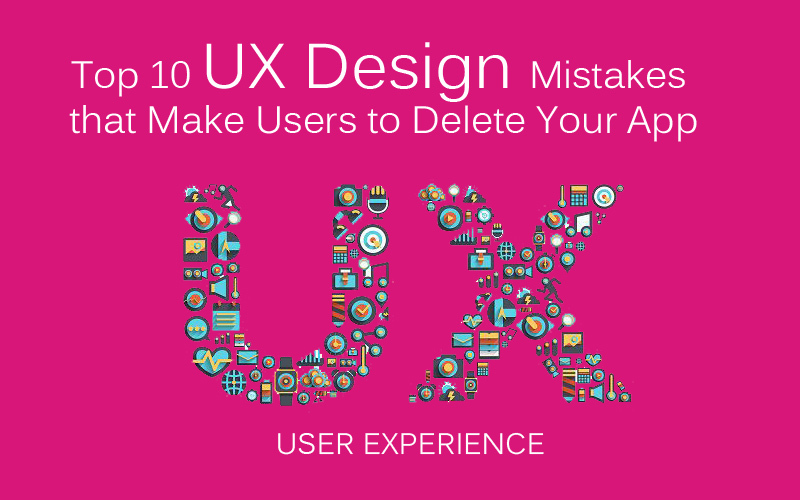 Hence, to shift your mood towards the mistakes that developers might commit even after following some of the effective and useful tips to build an app , we have compiled a list of top 10 UX design errors to avoid while building your next world-changing application. Wireframing is one of the crucial phases of app development and if not done right it could call for an entire re-do. No product, no app, nothing can be made flawless unless you have a planned structure for the same. Then, how can you expect an app to be full proof by just gaining requisites from the client. Obviously, you need some inputs from your client, but before you begin, get the things on paper, plan, think about scenarios and get a wireframe ready for the same. I remember a great quote, “Design speaks louder than words”, but often designers take this statement too seriously and load the app with excessive styling. They tend to add new colors, new styles, new placements to the objects that sometimes resultant becomes a nightmare. “Simplicity is the glory of expression”, said Walt Whitman. Keeping things simple is the ultimate power to create a user friendly interface. Loading the interface with designing elements is of no use until it makes your layout look clean and stylish. 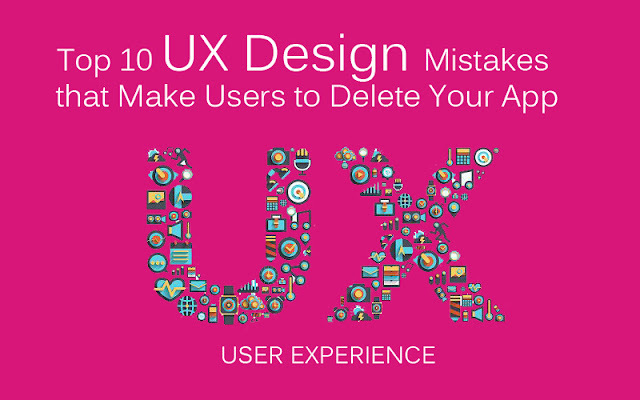 Including a lot of features to your app could also lead to bad user experience. More features require more memory usage; more memory means leakage in mobile’s battery. Loading the app with myriad of features would not only affect the end user (in terms of battery life) but also make the app sluggish. The overall output of the app gets affected big time, which could lead a user to ultimately delete your app irrespective of its purpose. A solution to overcome an issue like this could go this way. You could initially stack up your app with the most important features while further down line an update could be released with additional features. This might do the trick for both developers as well as for the end users. No matter how craftily or how creatively you have designed an app unless it reflects the right purpose, it’s a piece of waste. It should be evident from the home screen that it’s a shopping app or an e-payment platform or anything else. Confusing user won’t help rather it would degrade your value resulting in a bye-bye from the user’s smartphone. Navigation is one of the most important aspects of an app and if not done the right way, it could ruin all the hard work put in to develop it. Assuming that your end users aren’t aware of how an app works would help you in creating an extremely friendly piece. Overlay tutorials, useful text pop-ups are a great way to guide the user on how to move along through an app. A good navigation refers to a good user experience. Guiding your users about navigation is fine, but make sure you don’t overdo it with those tiny pop-ups. As frequent pop-ups could get on the user’s nerve resulting in a bad encounter. Make tutorials necessary for the first time app users, but don’t shoot pop-ups every time a user log on to your app. Also, notify the user about the upcoming tutorial session before shooting him/her with the first slide or the first pop-up. This would make sure if he/she wants to continue with the session. A good design calls for a perfect blend of colors, fonts and font-size. Mistaken on any of these aspects could end up building a disaster. Being a designer you should know what colors to include and what to ignore. Use your skills to make a worthy product and mate the optimum color palette with accurate font-size and typography. Here are some tips to select an ideal combination, hope it helps. How often you come across a situation where you mistakenly click a link ahead of the intended one? Yes, it happens quite a few times due to the fact that the tappable links are way too small. There is a standard of how large the clickable links should be in order to grant an exceptional experience to the users. Make sure you keep that in mind while designing the app. Also, the spacing between the links play a crucial role here and it is advised to maintain a space of 10 mm between the touch targets to avoid such concerns. Filling lengthy forms have always been a task for users, whether on their laptop screens or on their mobile screens. It becomes irritating for them to fill up long forms. So keep it precise when you intend to take up information from your users. Asking for too much personal details is another blunder often app developers commit. Here are some useful tips to keep you at par from committing mistakes, hope it helps. Slow loading would get your users off the app in a flash. No one likes waiting and when it comes to mobile apps, users want it quick. A max of 3 seconds is what we called threshold to keep users waiting. Going over this limit would make users say bye-bye app. Make sure you optimize your app for better page load speed before submitting it to app stores as they might also penalize you on this. A skilled mobile app developer could get this on track, so it’s important to ask few questions before you hire one . Here are some quick and easy tips to pay attention to. Building a quality application calls for a bunch of skilled, trained and motivated professionals who dedicate themselves to produce a remarkable product.